Thinking about owning a BMW 330e? There is a large volume of resources available on the Autobytel website. Go on a BMW 330e vehicle fact-finding quest for both new and used models. Check out technical details on any automobile like dimensions, weight, horsepower, and more. Look-up the MSRP of all BMW 330e vehicles. Autobytel was the first company to publish these figures. If you are looking to buy a BMW 330e then first read consumer reviews and analysis from professional automotive journalists. 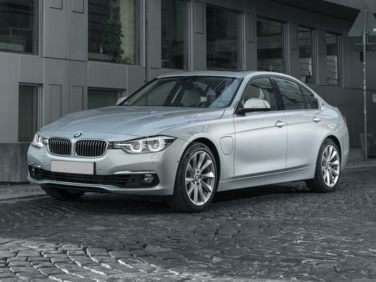 There are literally thousands of BMW 330e automobiles in the Autobytel.com vehicle inventory. Find vehicles available for purchase in your area. Choose a city or use your zip to see local dealer inventory. A nice selection of pictures are available at the Autobytel website. See BMW 330e vehicle images from various angles including front, rear, and side. This will most often be the first place you should go to see the vehicle from different angles. That way when you visit the car dealer lot to buy a BMW 330e; you won’t be taken by surprise if there is an unattractive feature. Another great feature at the Autobytel site is the section containing car reviews. Read reviews for BMW 330e autos from everyday consumers. There is also analysis from experts in the car field. Besides plenty of information; you can get a list of current incentives on BMW 330e vehicles. Get cash back from the manufacturer when you buy a new vehicle. If you decide to finance a vehicle, there can be significant lowered rates being offered. Find BMW 330e automobiles currently being offered by local car dealers. Do not buy a BMW 330e until you have checked all the available automobiles for sale in your vicinity. Since there may be a better deal just down the road.